What is the road up to Gleninchaquin like? Can I get to Gleninchaquin using Public Transport ? Could I take my own barbeque to Gleninchaquin Park ? Can I pay with a debit or credit card ? Is it possible to camp overnight ? Are there facilities for those with mobility issues? Is WiFi available at Gleninchaquin ? Dogs are very welcome here at Gleninchaquin. We ask that they are kept on the lead on the lower levels close to the livestock but generally they will be able to roam freely. There are dog passes at some of the stiles to enable them to get through fences to the next enclosures. The road to Gleninchaquin from the R571 is narrow in places. A 35 seater coach is the largest vehicle that can get access. Campervans are fine but a towed caravan is not possible for safety reasons. There are numerous passing places along the way. Take it steady keep your speed slow and you will be fine. There is no public transport to Gleninchaquin. You would need to hire a taxi. A typical journey from Kenmare will cost approximately €35.00 one way for a family of 4. Please check with the company when booking. We recommend Den & Mags in Kenmare and their number is +353 (0) 87 614 7222. You are more than welcome to bring your own picnic or even a barbeque. There are several picnic areas for you to settle down and enjoy the scenery and your refreshments. We can keep your food chilled in our fridges while you walk, or you can take it all with you. We politely ask that you leave the area as you find it and gather your litter. We regret we do not have facilities to take card payments. Payment will have to be made in cash at the entrance. The weather can change quickly here in Gleninchaquin. Firstly, we recommend good walking shoes, boots are advisable especially if taking the mountain trails. The lower meadows are reasonably firm but can become muddy after prolonged rain. Pack a light waterproof and thin layers but equally do not forget the sun cream. We have walking poles you may borrow. We do not advertise overnight camping but we do allow visitors to stay on request. 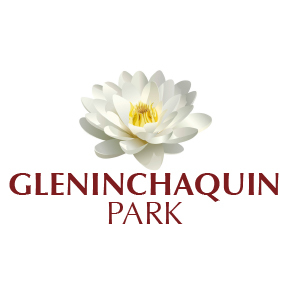 Please enquire on arrival or email info@gleninchaquin.com in advance so as to ensure permission. We do not make a charge for an overnight stay apart from the standard admission fee. Any subsequent nights will be charged on the daily rate per person. Alternatively Secret Garden Glamping have 3 pods that provide a unique stay next to the park, you can find out more information here. Yes, there is access to washroom facilities for those with mobility issues. Also, if you would like closer views of the waterfalls you may drive further in and park close by. Please check for details at the lower car park. There are plenty of areas to sit and just enjoy the views and have your refreshments. Due to the remoteness of Gleninchaquin we have no WiFi or a mobile signal; we are currently working to provide this service.